To rest all the epicondyle muscles. 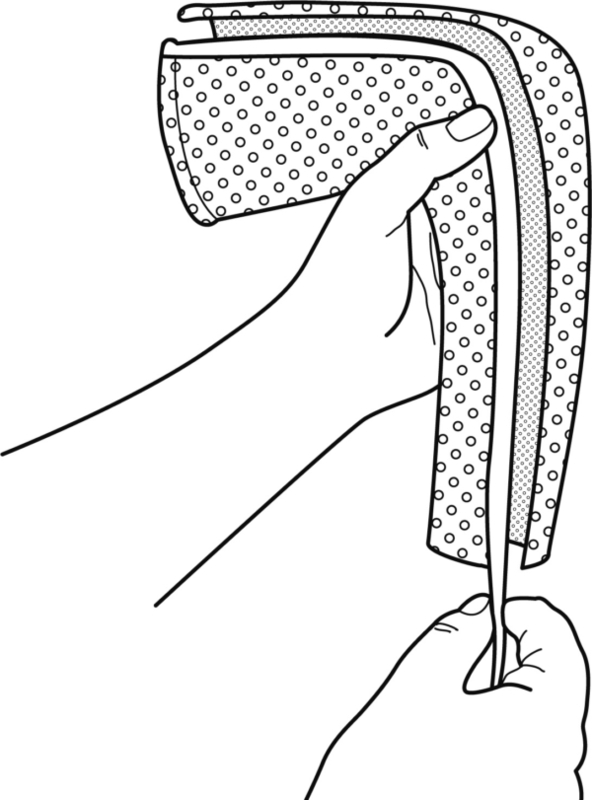 Stick the thumb through the opening of the pattern and place the material on the forearm, stretching it to halfway up the arm. Now stretch the material slightly along its width and stick the edges together. 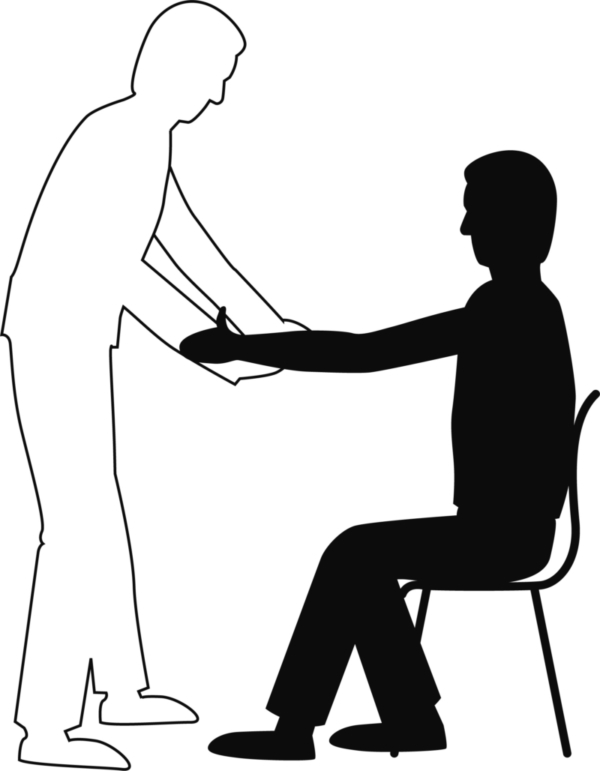 Ask the patient to slowly grasp the T bar (hook grasp only) while the arm portion is pulled further upwards to avoid the formation of creases. 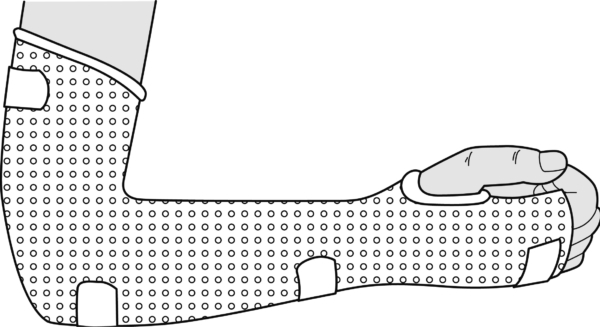 After the material has hardened, tear off the seam and remove the splint. Finishing: Cut off the edges evenly and leave an opening approximately 2 cm wide. Cover the serrated edge with thermoplastic edging strip. 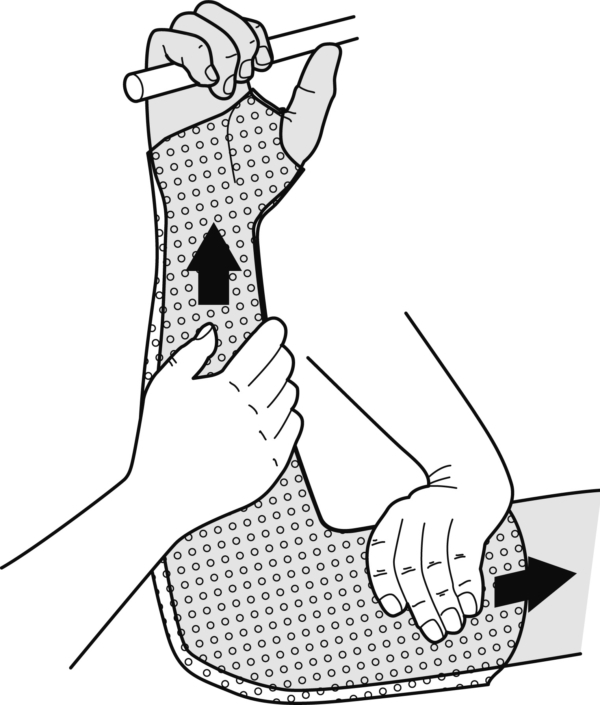 Fixation: 4 short narrow fixation straps to close the splint.